Travel Theme: Horizons. Cape Reinga, New Zealand. This week, Ailsa from Where’s My Backpack has set horizons as the travel theme. After a quick scroll through the digital files, I was surprised to find that all my big horizons shots were taken in New Zealand earlier this year. It’s not surprising really. Although a small country, New Zealand has 14,000 kilometres of coast. It borders the Tasman Sea and the Pacific Ocean and one is never far away from a spectacular horizon . This also means abundant fish and seafood, but that is another story. The Tasman and the Pacific oceans converge off the tip of Cape Reinga. 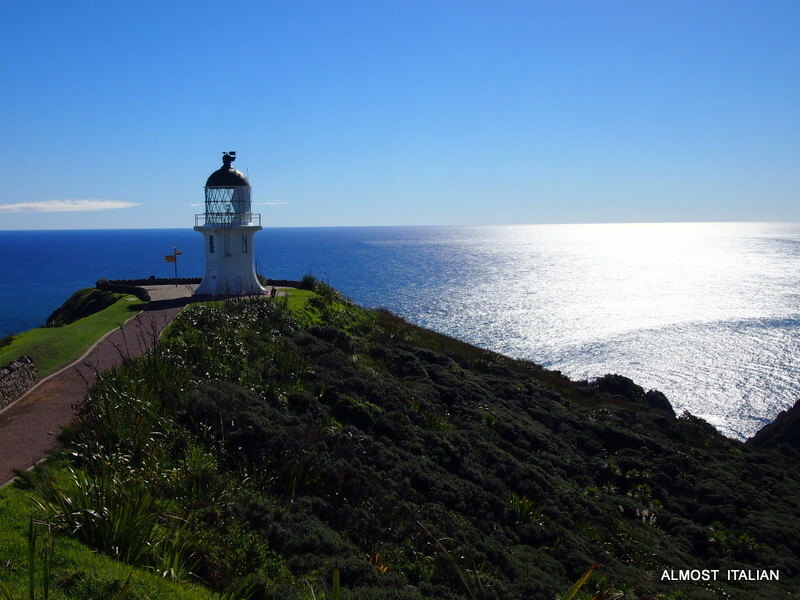 Cape Reinga, Te Rerenga Wairua, is situated at the northwestern tip of the North Island of New Zealand. It is a magical 100 kilometre roller coaster drive to reach the tip, and well worth the effort. According to Maori legend, the spirits of the dead travel to Cape Reinga on their journey to the afterlife to leap off the headland and climb the roots of the 800 year old pohutukawa tree and descend to the underworld to return to their traditional homeland of Hawaiki, ( Polynesia) using the Te Ara Wairua, the ‘Spirits’ pathway’. The spirituality of this place can be overwhelming. What gorgeous photos. We must get to New Zealand! Ahh, you will love it. Wow. We really need to get there soon! 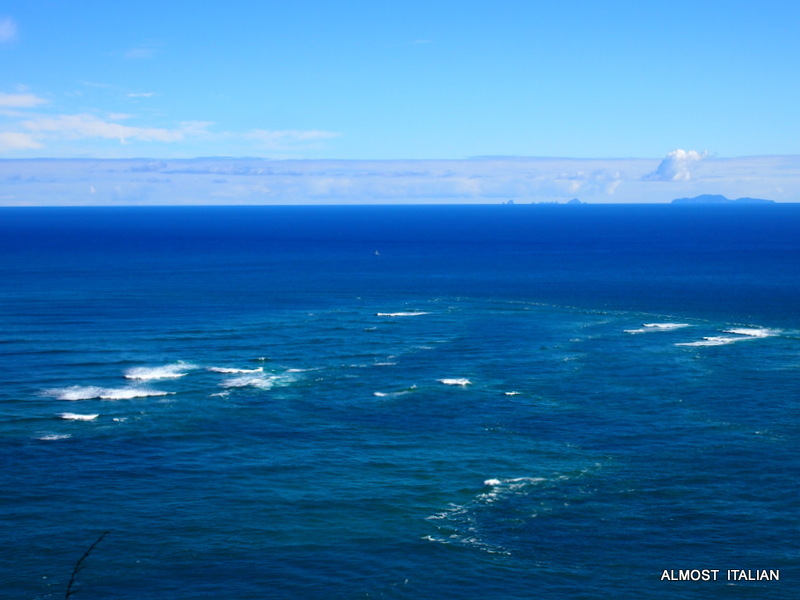 Great horizons and oh, that blue water! Yes, I hope you do make it. You know, for years we didn’t go there, thinking that we could do that any old time, being so close to Australia.Now we go every year in May, when the prices of the Britz hire motor homes come down to $30.00 per day. Bargain. Gorgeous pics, thanks. We haven’t made it to the North Island yet, but by the looks of it, it’s just as beautiful as the South Island. Oh…the blue! So beautiful and serene. Serene ans spiritual- you can almost feel all those Maori spirits returning North to Polynesia. Those blues are incredible! Swooon…. A wonderful sense of space and light. Next Next post: Sourdough Diaries. Flaxseed and Oats.